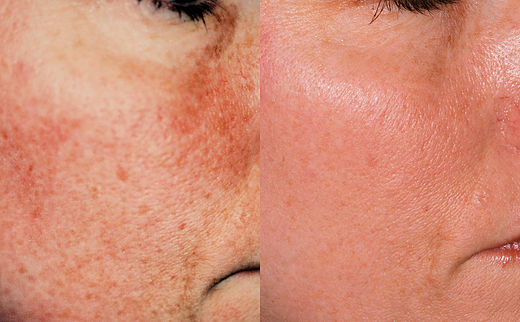 Our Medlite C6 Q-switch laser offers a comfortable procedure with little to no downtime and can remove discoloured patches, freckles, and age spots leaving a smoother more even complexion. Tired of being treated like a sheep in the more corporate laser treatment clinics? In our boutique laser studio we pride ourselves on providing personalised and quality service not dictated by mass turnover. From the moment you walk in you will enter a relaxing environment where the combination of the lighting, fragrance and relaxing music will help you enjoy your pampering experience. Sit down, relax, have a coffee or tea in your own time before you enter the treatment room. How does the skin rejuvenation work? The Medlite C6 laser heats up the epidermis by putting out an energetic laser light. The energy penetrates and absorbs pigment on your skin and also stimulates new collagen production. Once the new collagen is produced it contracts and tightens your skin reducing wrinkles, also skin pore size is reduced. Giving you the final result of beautiful glowing skin. There will be a redness and a bit of residual heat for a small amount of time. Its a bit like a mild case of sunburn, but this will disappear within 30 mins. 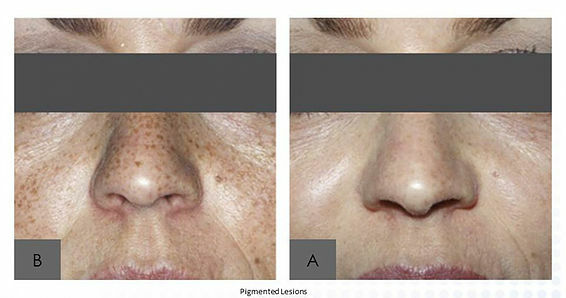 Some people that have pigmentation will notice its darker after the treatment but after a few weeks you will notice a reduction in the original pigmentation. No it doesn’t hurt. I have had many clients fall asleep during this process. You will hear snapping noises much like a rubber band on your skin and is perfectly normal as the laser will react with imperfections on the skin such as fine hairs. You will feel a slight sting and a warm sensation as the laser follows the contour of your skin.